With a passion to ensure techniques and results in semi-permanent make-up remain optimal, Karen Betts and her team of Elite Artists shared their industry-leading knowledge and expertise with permanent cosmetics artists from across the North of England, at the Royal Armouries in Leeds, at a Colour & Corrections Pro-Tips Education Day, on 6th July, 2015. Every attendee had the chance to ask questions and learn about the new pigments through practical exercises and a colour theory presentation. 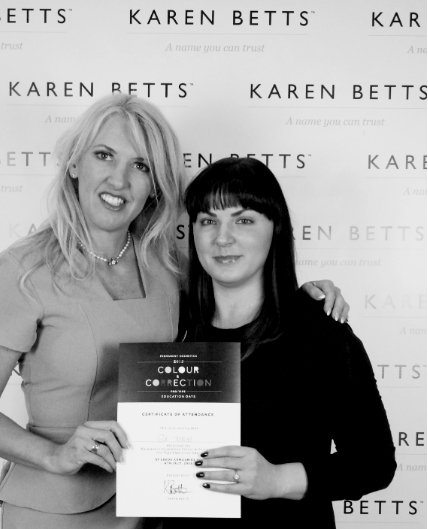 They also received an attendance certificate to certify and validate everything they learnt at the event, alongside a goody bag of KB Pro pigments worth over £100, an exclusive Colour Guide packed pigment information including case studies from Karen and her elite team’s own portfolios, and a specialist colour wheel to help you mix pigments perfectly matched to undertones. Limited spaces available. For more information visit this link.